Our IP signalling is a cost effective way to have a secure, fully managed, dual-path monitoring system for intruder alarms. Dual path signalling uses IP (via the internet) as your primary signalling path and will use GPRS as a backup failure. This type of signalling generates huge cost savings when compared to other signalling devices on the market, where a dedicated phone line (PSTN) is usually required. Able to meet strict budget restraints, our IP signalling solution offers a range of intelligent features when compared to that of a dated intruder alarm system. Innovation in the IP revolution means that the solution generates huge cost savings, is insurance approved, fully futureproof, scalable, has intelligent reporting capabilities and back-up signalling to ensure alarms always reach the remote monitoring centre. 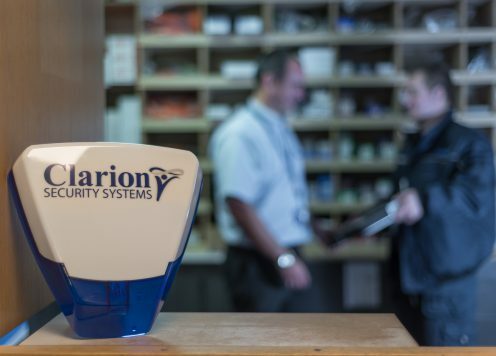 By using our remotely monitored intruder alarm systems you will benefit from one of the most advanced and highly developed monitoring centres in the country, complying with all current British and European Standards and police force policies giving you a completely dependable and feature rich intruder alarm system. If you would like to find out more about the solutions we can offer you, you can contact us here, email us here or contact us on 08442084422 where we will be happy to assist you. We can help protect your organisation Enquire today!